But, I’m also incredibly cheap so I’m always curious when I see a new cold brew on the grocery aisles. I always think this will be the offering that keeps me from ordering a coffeehouse drink. And I’m almost always disappointed. 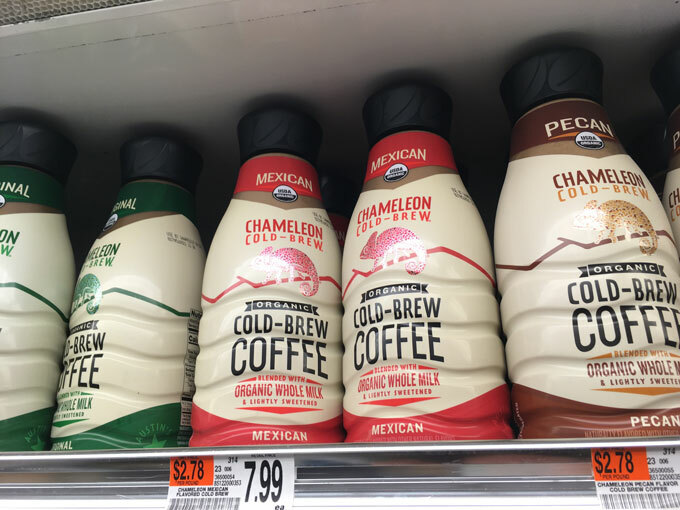 So when I saw Chameleon Cold Brew, I thought I’d snap a pic and ask you guys first if it’s worth the $7.99 they’re charging? Also cheese! I found new varieties of shredded cheese when I was grocery shopping Friday. I only know Kerrygold from the butter section and the gourmet cheese aisle over in the deli. You know what I’m talking about. 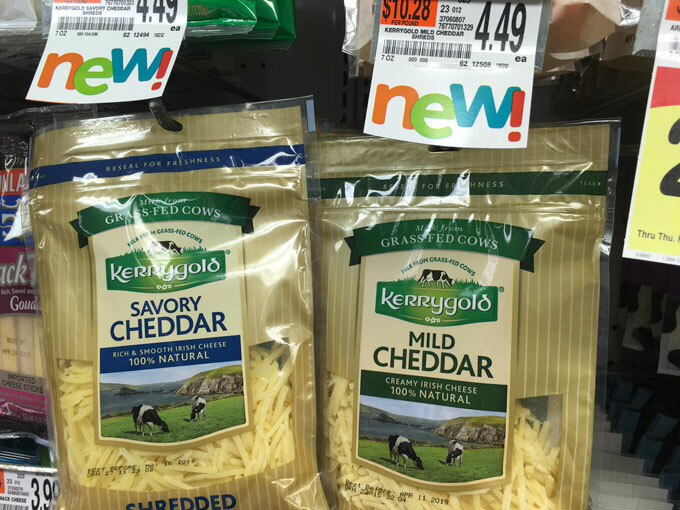 So, I’m wondering if anyone has eaten or used this basic Kerrygold shredded cheddar, which is part of Kerrygold’s new shreds and slices line? Oh and Taco Bell shreds. 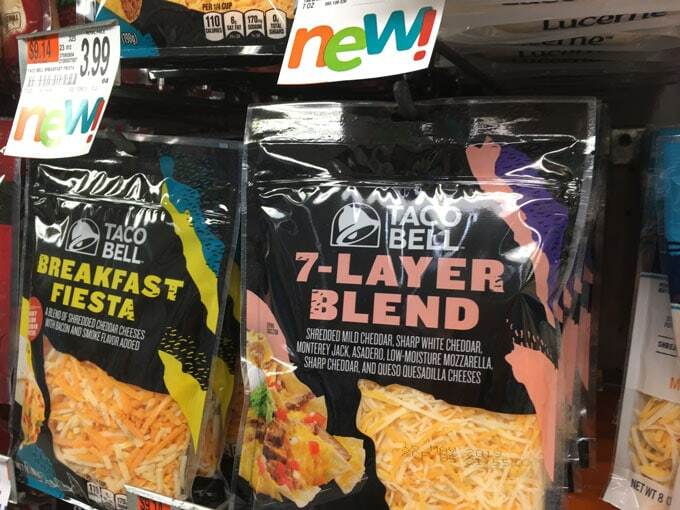 I’m not a Taco Bell fan but good news for you if you are! What’s new and notable at your grocery?